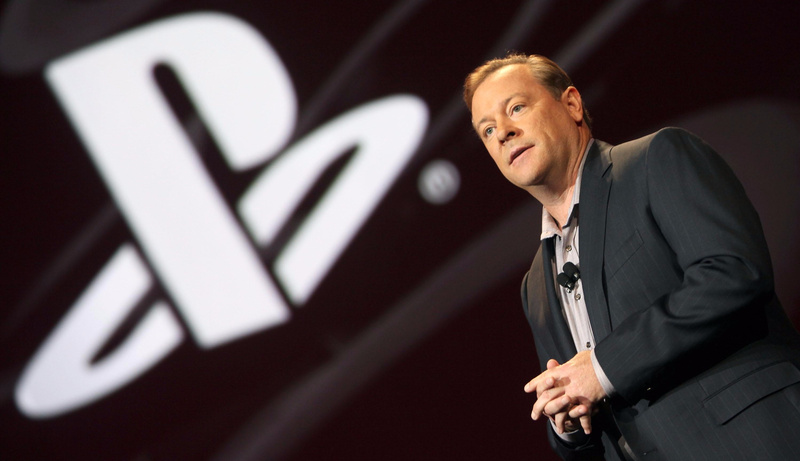 Former Sony Computer Entertainment America president and CEO Jack Tretton has admitted in an interview with IGN that he - like so many in the games industry - underestimated the Wii when it was first announced. The console followed the underperforming GameCube and took risks by opting for weaker hardware and introducing an entirely fresh motion-based control system. While many assumed it would be a failure, it ended up winning the console war that generation, outselling both the Xbox 360 and PlayStation 3. Given the position Nintendo currently finds itself in, one has to wonder if the NX could have a similar impact. Let us know your feelings on this matter by posting a comment below. Never underestimate the Big N! Seeing as speculation is rife on the NX without anyone actually seeing one, it's safe to say that they could have something that again moves the industry in exciting new directions. The only thing their rivals ever do is provide more power which is something that Nintendo has never really been fussed with, focussing on player interaction and just plain old fun instead. 'Wah Wah, I don't play Nintendo games, they are for babies, I'm so grown up, look at me, I'm a big boy now' etc etc. I actually really liked the Wii- go back and play Wii Sports and the motion controls remain surprisingly fresh. It's a console that had excellent games (Xbox and ps3 were hardly exempt from shovelware themselves, let's not kid ourselves). It's just become fashionable amongst the ignorant masses to trash Nintendo. The internet hasn't helped Nintendo at all. Artistic revolutionaries almost always get spat on at the time. Yeah... Sony certainly know that they can't count Nintendo out... especially after the Nintendo Play Station fiasco. Honestly, I find more of Nintendo's and its third party titles memorable despite some of the biggest and impressive games being on Xbox or Playstation. I have about 30 or 40 Playstation titles whereas I have over 250 Nintendo titles. Who cares what he has to say and this story is old news. @WilliamCalley I won't lie- Nintendo has been a pretty reliable source of frustration for me the past few years! In terms of sales- I would say that the only real failures have been the GameCube, to an extent, and the Wii U. That to me is more of an indication of trends. I think you would have to be pretty ignorant to class Nintendo as a failure because of a couple of consoles. I am optimistic about the NX. I think that like the Wii, the NX will find a niche in the market if it can offer an alternative to the PS4 and XB1. Of course there are always going to be those gamers that want graphically impressive 3rd party games (but who refuse to buy a PC), but there are people that want a cheaper system, a less age biased system (inclusive of Kids and Grandparents), a less patched repeatedly after launch system, a portable system, a more local play friendly system, and a system with Mario, Zelda, and Pokemon on it. I think the NX can score big for those people tired by the short comings of the other two consoles. And hopefully better games will attract both those gamers and the iPad generation. Sony wouldn't be where it was today if it wasn't for Nintendo and Ken Kutaragi, who was inspired to create the PlayStation after seeing his daughter play a Famicom. Sony initially rejected Ken's Nintendo-PlayStation idea, but Kutaragi continued to work on in secret. They decided to go through with the PlayStation only after Nintendo pulled out. But it's worth noting that gaming was regarded as a fad and was disdained by Sony until this series of events happened. "And I think everyone discounted the Wii initially"
"And I think everyone discounted the NX initially"
I think Sony, Microsoft, and Nintendo don't see each other purely as competitors. It's not the early 90's. The real fight (especially for younger gamers) is mobile vs. console. Well, it doesn't matter the console... Mariokart will always get people to buy it! Sony has always praised nintendo, just like nintendo praises sony...that's why I choose these two as my consoles. Microsoft always puts the others down, which is why I kind of step away from them. Back to the question, I think, as long as it keeps it going...Nintendo can have success with the NX, but it's all going to come down to the reveal and what it does. Rumors are that people are hoping it's a hybrid of a high-powered console and portable all in one, and I think if they release JUST A CONSOLE that is underpowered compared to either PS4 or XBONE, the rumor mill will disappear and most people that were hoping for something great, will disappear and never return. Nintendo will have to really prove themselves with the NX, to get many people on board besides just the fans...whatever they call us. I'll purchase it, but it's only because it's nintendo, and they never let me down, but for the others that play nothing but mature-rated shooters and adventures (never to try anything else besides that), they'll have a hard time to sell it to. If nintendo does make the NX a console (powerful) and a handheld all in one, it'll definitely attract enough attention, and if a Pokemon RPG game comes out for it...they have a huge winner. It all comes down to seeing what this NX is. @yuwarite Your history of the situation is a little distorted... it was a sound chip for the Super Famicom that Kutagiri worked on in secret, and he went on to convince Sony to work with Nintendo to develop a CD-ROM drive for the Super Famicom, which is where the 'Play Station' came from. The two companies were working on the 'Nintendo Play Station' together for a while until a legal dispute forced Nintendo to withdraw, leaving Sony with the PlayStation, and Nintendo with nothing... but despite that, Nintendo still managed to stay in the market with the N64. People initially counted out the Wii? I guess that's why it sold like crazy. I'm a Nintendo fan, meaning I'm in the "I told you so" camp whenever my console succeeds. "You just knew that you couldn't could them out." "a lot more people in the surprise camp then there were"
Do you guys even have an editor? Proof read? Even MsWord could find these errors if you asked it to. Jees. Wait, isn't Phil Spencer the cool dude who always speaks well of the competition? It's true, Nintendo has always pushed the industry to challenge itself...regardless of sales numbers. They've never been about cutting edge graphics, only player usability and fun. @WilliamCalley And even bigger morons focus on Nintendo's sales rather than play video games. Unless you're invested in Nintendo via stock or something, the sales of a game or a system should mean absolutely nothing to you, nor should it concern you. Let Nintendo worry about it's own sales. We should be focused on playing video games and less on examining the sales. People get so hung up or caught up in the sales pertaining to a company that they need to realize that's the company's problem, not theirs. I doubt most consumers who purchase a TV focus on the sales of a TV when deciding which one to purchase. Theu just want to use it and relax, as it should be. This generation of gamers is too caught up in a sales war and focus heavily on it when they should be either playing video games or do something else that has nothing else to do with the sales of a company. Let them focus on their woes and issues. As consumers, it's or job to purchase their products and either like or dislike them, not to relish in their sales or find fault in them. Sony's former CEO has lots of public coulda woulda shoulda comments regarding the PS3 launch price, the PS Vita, and now praising the Wii... wonder is he is fishing for a consulting job now or if he is just really that well off that he doesn't need to worry about another company picking him up... normally comments like these remain close hold for a while when spoken from a person of former leadership. Sony and Nintendo have been surprisingly nice to each other this decade, Shuhei Yoshida probably is probably part of the reason. Is that the same guy as the one who said Vita failed because people only want mobile gaming on their phones now? Ya you are right. Game sales don't affect gamers. It's not like the low sales of franchises like Metroid, F-Zero, Star Fox, etc have anything to do with the fact that releases in those series' are either few and far between or non-existent. Or the fact that Nintendo home consoles sell in such small numbers that third party companies don't bother releasing software on them. The reason 3rd party developers steer clear of Nintendo systems is people buy Nintendo systems to play Nintendo games. As for Nintendo systems selling in small numbers. The Wii sold over 100 million consoles. "Despite this hostile atmosphere to video games, Kutaragi managed to persuade Sony to fund his research into the Super Famicom CD-ROM Adapter. These efforts resulted a device called the "Play Station", a console that would be compatible with both Super Famicom games and software released on a new format called the SuperDisc." So even when they were producing this device, he still had to pull Sony's arm to help fund it. He continued to produce the PlayStation with Sony, despite it being considered a 'risky gamble' by other Sony executives. It really sounds like it was down to his determination that PlayStation was conceived in lieu of a doubtful Sony. I wasn't sold on the Wii until the announcement of it's Virtual Console. It was then that I knew I had to have it. The Wii really was an awesome system. With so many great games, there will always be reasons to go back to Wii. It will outlive Wii U and many other systems. Back in 2006 I wanted an Xbox to play the latest Sonic games, one of my close friends managed to convince me that Wii was a better choice. BC is really appealing to me as well. And I do not regret this considering that Sonic 06 ended up being what it is, but still to this day I'm curious to play that one. Comments made by Miyamoto about how Wii U wasn't fully utilize leave me skeptical that this new thing is fully baked. @yuwarite It's all well and good for Sony, but it also essentially screwed over Nintendo... if he had just designed the CD-ROM drive for the Super Famicom like he was supposed to, then that could have led to further collaborations between the two companies further down the line... imagine the sort of console we could have had by now if the two companies had pooled their resources in earnest, without the forced situation he had placed them in. That very action that is so often praised as one of the best decisions in the history of gaming may have actually been one of the worst. @ekreig Microsoft has hardly been a spokesman for 'sporting' attitude. Ed Fries, who used to work for them, crapped all over Nintendo and Sony both and had such an arrogant attitude about Xbox. He alone turned me off ever supporting that system in how he acted towards the other two. Microsoft has had other employees do the same thing since, too. I'm not defending Reggie for something he did over a year ago, but Microsoft has not been any better, and has actually been a whole lot worse. I can't say I have any recollection of Sony being anything other than a good sport though.
" it ended up winning the console war that generation, outselling both the Xbox 360 and PlayStation 3"
Ahhh, more pretend business compliments. NXt year will be very interesting indeed, particularly in Sony's case. Will they release a new console of sorts next year as well or bank on reduced price cut of PS4 Pro to nibble away at Scorpio? Will the NX actually release in March and see a holiday price cut to be competitive against the other two consoles?